The vast majority of college students aren't trying to turn their dorm into a kitchen and cook daily meals. In fact if that happens more than twice in a semester, that would be considered odd. Your real college meals will come from your University Cafe. This is where you'll use your meal card and what you'll consider your eat-in kitchen. Depending on the college, your University Cafe food can be surprisingly good and offers enough variety to make daily meals anything but dull. Since your meals are covered, we are referring to those late-night binge snacks. Whether 11 p.m. or 3 a.m., the University Cafe won't be open and you'll be hungry. Maybe you studied late and need a break or you need food to regain energy...either way you'll be making dorm snacks! 1. Pizza. This includes breadsticks and any cheap side item your local pizza place offers. Sure you always want pizza, but unless you found a $5.00 pizza deal, odds are you'll be lacking funds to splurge for a whole pie every time. The cheap side items will get you through when you are low on cash flow. 2. Ramen Noodles. 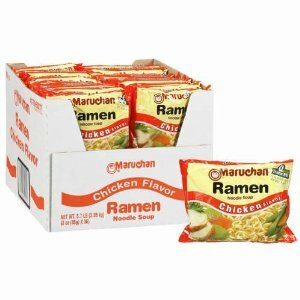 The funny thing about Ramen Noodles is that before college you probably never ate them, and after college you won't want to touch them. This 32-cent meal/snack has a window in your life during college, and boy is it popular! 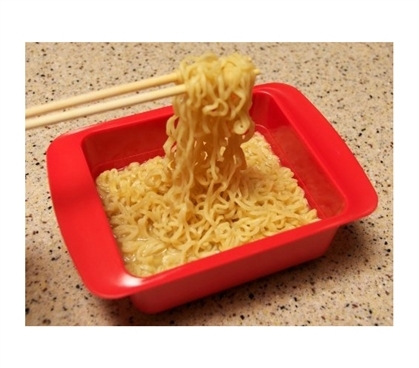 If you don't have a Hot Pot or a Rapid Ramen Cooker that is what you must buy to enjoy this tasty and affordable dorm binge snack! 3. Coffee. Time to study, anyone? Or how about you and your friends getting together to watch your favorite TV show on Thursday night? The best dorm snack for TV and movie night to keep you up is coffee. You can brew one cup or 12! Check out these Coffee Makers. 4. Mac-N-Cheese. You can't go wrong with mac-n-cheese, and now that you can get the microwavable version, you really can't go wrong. More expensive than Ramen Noodles, mac-n-cheese will be considered a splurge. 5. Soup. Okay...maybe the list should have stopped at the Top 4, because soup is hardly a binge snack, but it sure is a top comfort food when you get sick or homesick during those long college days. Easy to cook in a hot pot or microwave, you'll find yourself enjoying your favorite canned soup on days where it just feels right. The great thing about soup is that it stays fresh when canned; you can keep the can in your closet for months and enjoy it when you are ready. 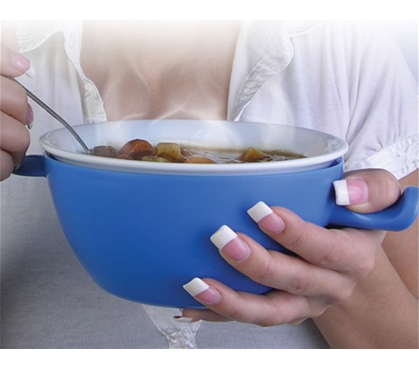 Soup is also relatively cheap and can warm you up during those cold winter days. Just don't forget a Can Opener and a Cool Touch Microwavable Bowl!